RE-COM … and so on … what does it mean? Recomposition? Body? Basically, yes! Change in the structure and proportion of body tissues. ABOUT! That’s how you could call our (your) plan. You must have read about it already. Something about your ears. now we present a thorough and – most importantly – a proven way of achieving “impossible”. As always, what is written is a confirmed practice, tested and sincere. How exactly do you understand “changing the composition of the body? Sounds cool? Impossible? No way? We disprove the myths “You can not build muscle mass while losing fat. Can be! Below you can read how to try to accomplish a few warnings. Unfortunately, some of them may be difficult to meet. It may also turn out that you have too little training. So let’s start with the goal that we have in front of us, by the requirements of the plan, and to the specific. I invite you to travel through blood, sweat and tears in the fight for the silhouette of dreams. We want to maximally improve your figure by the loss of redundant fatty tissue, and the maximum possible development of muscle mass. Many of you probably have their eyes fixed on the thought of magical transformations from teleshopping. I’m sorry, I will have to disappoint you, because it is a real world. I will say that without eye cleaning I do not know … I do not know. You can ask me a question now – “If you do not guarantee, how can you believe it will work? However, I have to be honest. You can make better results, but they can be worse. Everything depends on you. The person who sets his diet and training for the maximum loss of fat will rather fight to maintain the entire muscle mass, rather than its significant expansion. On the other hand, a person who does not control calorie intake may increase their level of fatty tissue. – You have the right training experience, you know what exercises are good for you and what you do not, you know the correct technique for their performance. – You know your body’s reactions to changes in the amount of calories in your diet. You know what can happen when balancing the amount of wet ingredients. You can predict the consequences of poor diets. – You are not a person with a small amount of muscle mass. – You’re not a person with a lot of fatty tissue. – You have adequate mental preparation for heavy training sessions. – You are able to maintain a strict dietary regimen for a longer period of time. – You have a small amount of cash, due to the demanding plan of supplementation. MINIMUM DURATION OF BR, so when will you see the effects? Once again, I will say that I will not lie to you. RECOMP is a long-lasting process, where one cycle lasts a minimum of 8-10 weeks and such cycles require a minimum of 2-3. Why so? Because you have to teach the body to do two things at once to burn fat and build muscle. The second thing is that you need to get to know your body and its reactions to a CONCRETE diet, training and supplementation. Do you meet the above conditions? Do you think it’s the way for you? Well, we’re going on. TRAINING METHODS, or why and not so? Let us assume once again what we have one of the elements of our goal – the expansion of muscle mass. We know that HST is a workout focused on the maximum muscle mass gain, but is something else? Yes, from the previous articles you know how HST affects hormones, I hope you also know that testosterone and growth hormone have an effect not only on building muscle mass, but also on fat burning. This is an important issue for a natural bodybuilder, but there is no better way to maintain a high level of these hormones than strength training of the whole body. WHAT OPTION HST TO CHOOSE? As we are not here struggling to settle disproportions in a fit, and we care about hormones and the formation of metabolism enough for us 3 times a week training of the whole body. Later you can try other variants. * 15, 10 and 5-tki- where we use superseries and series connected, which will help us increase the body’s hormonal response and allow us to burn more calori in a shorter time. * Further, we make 5 and negatives using the drop set’s described in the previous issue to reduce the metabolism inside the cells. We try to maintain a quick workout, where we can (however, remember that you do not build strength or condition here). Both scientific research and training practice of hundreds of thousands of people confirms that interval training is the best natural fat burner. It kills the metabolism and allows you to cram more calori after training. need to add something? Everything you want to know about interval training can be found in previous issues. HOW DO I LONG HIIT ROBIC? ON WHAT MACHINES? HOW MANY TIMES? So let’s start with the number of sessions a week. Depending on your activity outside the gym, in addition to basic interval sessions after strength training, you can add 2-3 sessions on days off to maintain a high metabolic rate. The length of the session should not exceed 15 minutes. We checked that this amount is 100% enough to burn fat tissue. If you are genetic unlucky, you may need a few minutes more. The ratio sprint to jog will not exceed 11. That is minute to minute, and 30 seconds to 30 seconds. I suggest starting with lower values and a ratio of 15 in the first few sessions and what training to increase. The tips and recommendations from the previous issue are still valid here. There is no significant difference whether you choose a bike, runner, running in the field or another machine, because the above conditions are the most important. I recommend both ruskrek and bierznie, choose it to your liking. Remember that intervals after strength training are NECESSARY and additional sessions can help a lot. If you take care of general fitness, I recommend practicing general athletic (open-air) sports in my free time. What to eat? – That’s a short story about diet. You know me, I could not write anything else but … LOW CARB – a low-carbohydrate diet. This diet will allow us to better use carbohydrates in the training area, and prevent the deposition of fatty tissue. Another benefit is that thanks to LC diets we will learn to better use fatty acids, including our own. For more information about this type, I refer you to Łukasz Kowalski’s article and our forum. The amount of carbohydrates is 150-200g on a training day located around the threshold, ie 30-50g before training, 50-80g after training and 50-70g after training. I recommend eating less carbohydrates before training, and the largest amount of them immediately after training. On days without training limit the consumption of carbohydrates to 50-100g – which will also allow you to limit the amount of calories consumed. Do not be afraid to be on a caloric deficit this day. If you do not want to, add the fat calories from, for example, linseed. Remember also that the less you have fatty tissue, and the more calorie you have to consume. If you use HIIT on a day off, you do not eat carbohydrates before that workout but only a meal of protein and fat. 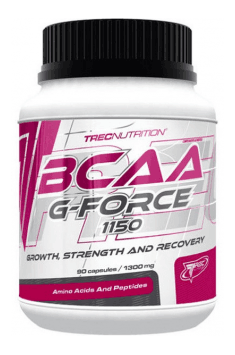 At 20 minutes before the intervals themselves, remember about the BCAA portion.